Have you ever wondered why some people struggle to maintain close and healthy social relationships, while others don’t? According to John Bowlby, a British psychiatrist and researcher, the emotional responsiveness of our first experience of attachment could be the most influential factor in human development. Bowlby found that primates seek an adult’s protection when they are in danger, just as we do. According to this pattern of survival, Bowlby concluded that we are programmed to form attachments, and possess an innate willingness to seek the proximity of a protective adult. During their first two years of life, babies form attachments with their parents. This means that the quality of interaction between you and your baby will be very important for his social and emotional development. Some factors that may influence the type of attachment that your baby will develop are: physical contact and attention to basic needs. The critical period to form an attachment to a mother or father is during the first two years of life. It’s very important to foster a secure attachment in your baby, as this will influence the quality of interpersonal relationships that he will have in the future -including romantic relationships! What characterizes play and makes it so special? Play is fun: babies giggle contagiously over Peek-a-boo or they enjoy playing hide and seek. 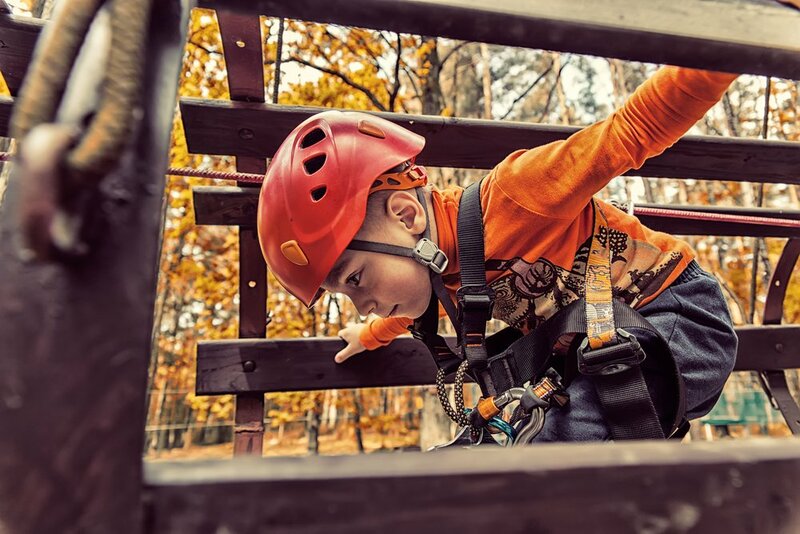 Play is voluntary: it is something that we naturally enjoy doing and is not instructed to us. Play has a special structure: it has a pattern of repetition and variation. Family therapist Lawrence J. Cohen uses Peek-a-boo as an example of this in his book Playful Parenting; during Peek-a-boo, the baby can lose the connection and regain it. You can actually experiment with the time it takes to say Peek-a-boo, from half a second to two or three. You can find exactly the length of time that brings the most giggles. Too short and there is no mystery, too long and it gets scary –there is the essence of human connection, disconnection and reconnection. The gift of play is the way it teaches us to deal with the unexpected. Is your baby ready for crawling? Around 7-10 months most babies master the hand-and-knee crawling method, but others develop alternative styles of crawling that work so well for them that they never progress to the traditional hand-and-knee crawling. Here are some types of crawling your baby can adopt. 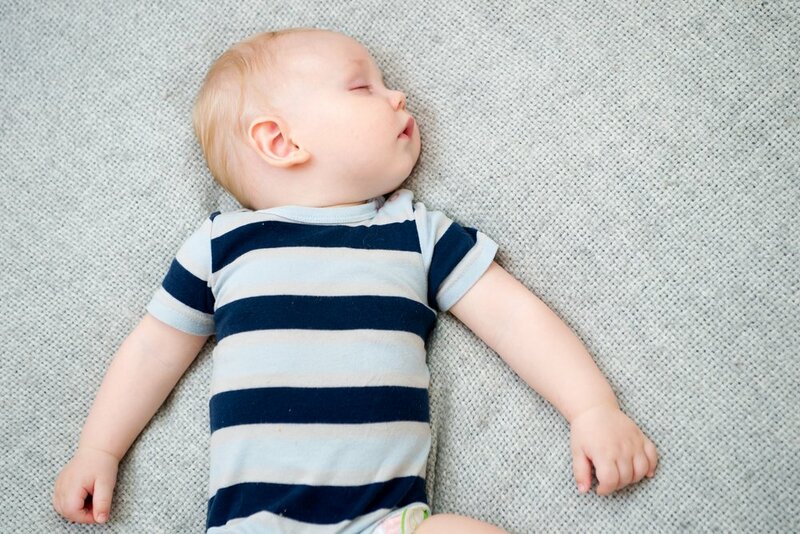 Not all babies crawl in the traditional way -alternating hands and knees-, some babies use their belly to move, others scoot on their bottoms using their hands to propel themselves forward, and some babies use one leg down in crawling position and the other foot in a standing position on the floor to move forward. No matter what method your baby adopts, remember that the important thing is that she is showing a desire to move independently and explore her surroundings. Nightmares are frightening! They can frighten us and even make us sweat! However, as adults we know that these dreams are not real, but do children also have nightmares? Experts don’t know exactly when nightmares begin, but they know that young children can have them. When your little one is about two years old, his imagination has evolved and, if he has a nightmare, he can definitely get frightened and wake up. 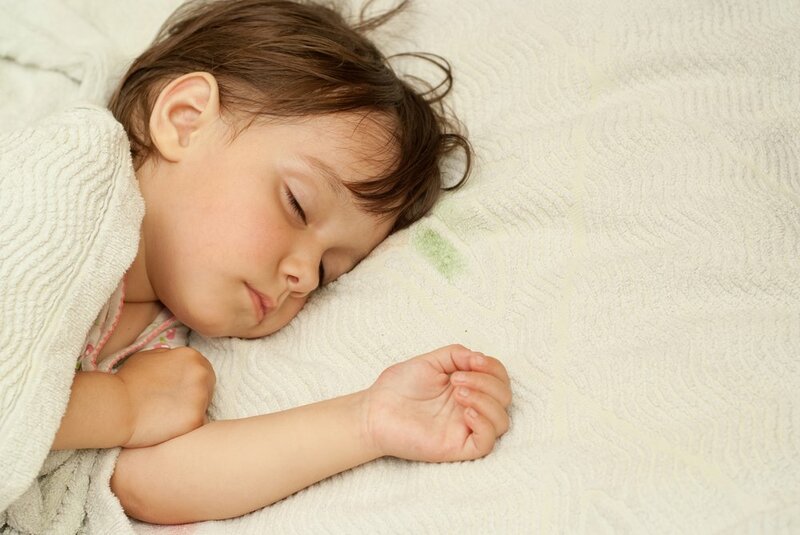 If your child sleeps well and seems to wake up agitated and frightened, he may have had a nightmare. Nightmares usually occur during the second stage of sleep, so he may wake up scared in the morning. If he can talk, ask him what’s wrong, he may be able to tell you what he experienced. What should I do if my little one had a nightmare? Respect and acknowledge his fear. If he can talk, let him narrate his dream and be sympathetic. Show him lots of love and security; caress his back until he calms down. Offer him a stuffed animal, and place it in his crib. Don’t overreact or make this a big deal. Your baby can read your reactions and feel even more scared if you are anxious. Remind your child that monsters don’t exist and nothing will harm him at night. Remember: most habits are difficult to break; avoid bringing your child into your bed. If this happens once in a while it’s not a problem, but if it happens often it may soon form a habit. Continue strengthening the night routine to help your child relax, and let him know that it’s bedtime. This routine will give him security because it provides consistency and predictability. Check that his bedroom temperature is comfortable, neither too hot or too cold. Try not to let him stay up late, as it will be harder to put him to bed. Similarly, don’t ley him down very early; try to identify his biological rhythm and take him to bed at the right moment. Stay relaxed and confident. Despite feeling anxious yourself, or even somewhat frustrated, show him that there is no reason to be upset or afraid. If you act confident around your child, he will be calm. Continue placing him in his crib while he’s drowsy but still awake and say good night. You can give him a kiss, rub his back, and tell him you love him very much to give him even more security. During the day, play hide and seek and invite him to search for his stuffed animals to teach your little one that, although he can’t see you, you will appear again. Comfort your baby if he wakes up and can’t get back to sleep, but try to not to overstimulate him by making it a short visit. All parents want their children to learn to sleep at night, that’s why there are many techniques and guidelines that help out. The truth is that there is no perfect technique since all babies and families are different, but it has been found that babies thrive on predictability. 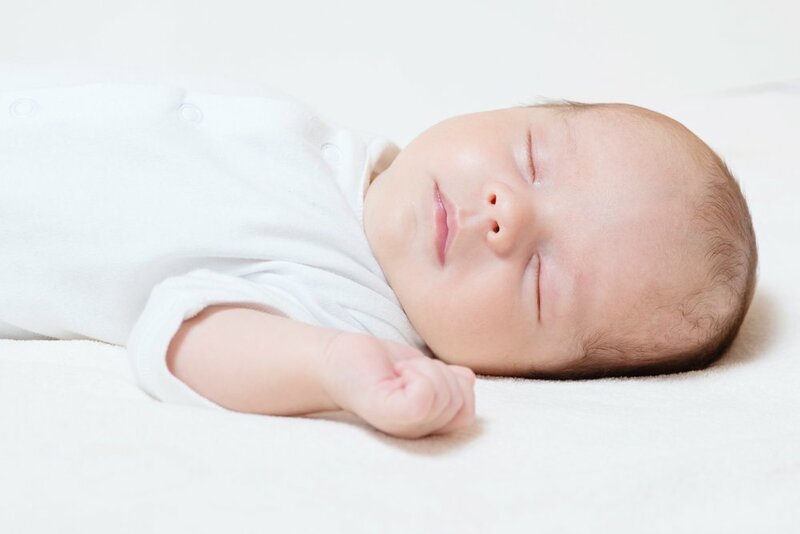 For this reason, experts recommend establishing a daily nighttime routine so babies can predict bedtime and feel secure. To ensure security and create predictability, begin your baby’s routine 15 or 20 minutes before bedtime. Usually this is 12 hours after your child usually awakens in the morning. It’s important to keep the routine short and sweet; if your little one is sleepy there’s no reason to entertain him longer. When babies are born, they are yet to understand the concept of time. They do not know the difference between day and night. They are governed by hunger and their biological clock. Knowing this, it is important to respect their meal times and circadian rhythm; however, this doesn’t mean we can’t help them establish a bedtime routine. Not only that, routines will help them feel safe as they learn to predict the day’s events. How to establish a bedtime routine? Play with your baby during the day, so he begins to associate light with play time. At night give your little one a relaxing bath and massage. Just try not to bathe your baby right after dinner, as this can cause reflux, or when he’s very hungry because he may get irritable. After bathtime, read him a story or sing a lullaby under dimmed lights. Continue feeding your baby in a calm environment and, before he falls asleep, try to place him in his crib when he is drowsy but still awake. You can turn on lullaby music or white noise. Keep him in a pleasant environment. 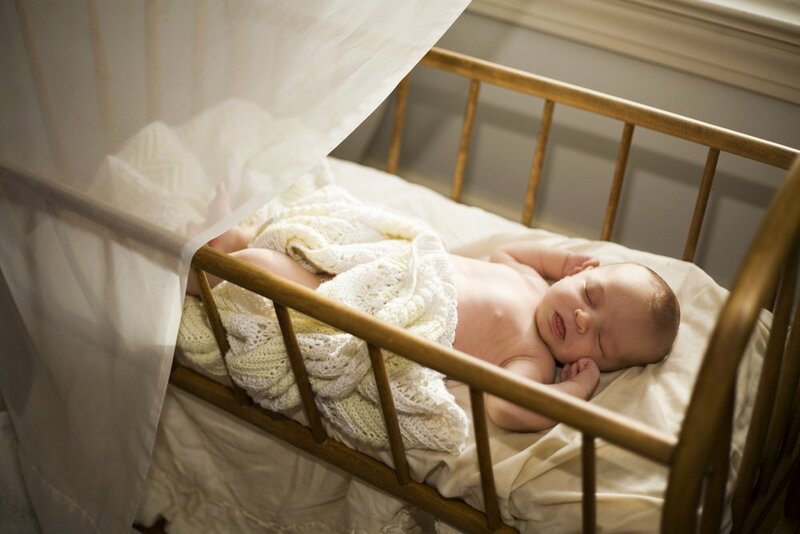 He can start sleeping in a bassinet instead of a crib. Make sure the temperature is nice, not too cold and not too hot. Many pediatricians recommend 20 degrees Celsius as the ideal temperature; however, ask your pediatrician as recommendations may vary. Likewise, avoid placing your baby near the AC to avoid the air flow from hitting him directly. Between 0-3 months babies are not mature enough to learn to sleep alone, and they need some support. Therefore, if he cries it is likely that he requires comfort or he might be hungry. Try not to let him cry during this period or development. Instead, respond to his tears and pick him up if necessary, there is no way of spoiling an infant. Finally, be consistent with the routine; soon your baby will learn the difference between day and night.